GUIDE PRICE £315,000 - £325,000 A charming 2 double bedroom, 2 reception room Victorian semi detached house, beautifully improved and enlarged by the current owners, with scope to convert loft space, driveway and private garden. The property is situated on a popular residential road, within easy access of major transport links, excellent schools and a good selection of shops. The accommodation comprises: bay fronted sitting room with open fireplace, dining room with feature fireplace, kitchen refitted with an attractive range of units, Granite work surfaces and utility area. Off the kitchen there is a refitted family bathroom. On the first floor there is access into the loft space which offers potential to convert into further accommodation, similar to neighbouring properties. 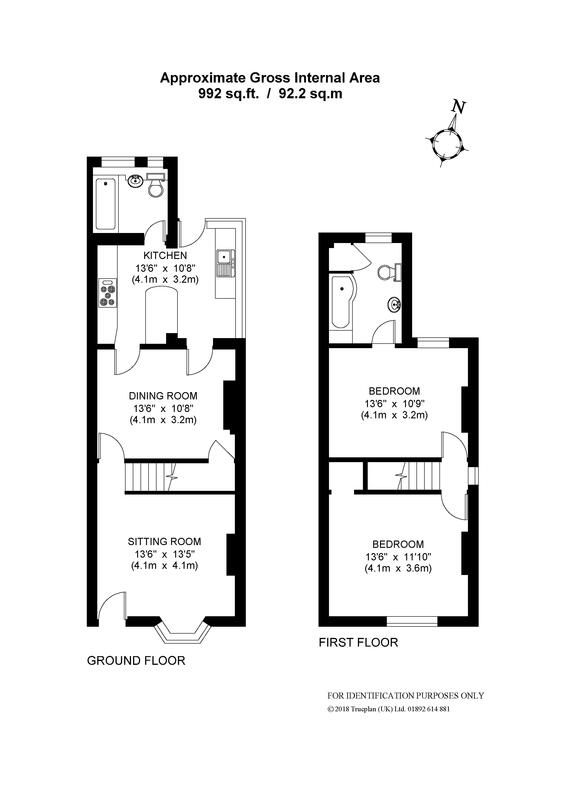 There is a double bedroom and a master bedroom with refitted en suite bathroom. Benefits include double glazed windows and gas fired central heating to radiators (Worcester boiler installed in 2017). A private brick paved driveway is accessed off Millthorpe Road. The remainder of the garden is decked and offers an excellent degree of privacy. The combined area of the driveway and garden is 53' x 27'. The property benefits from a driveway, potential to convert the loft and is close to major transport links, shops and excellent schools. This would be ideal if you are looking for a period home that has been beautifully improved and enlarged.